There’s a human in all of us, no matter how closely we associate ourselves with our bestial bests. But then there’s something about parents wanting to shake their offspring out of their sleep and it’s a might societal evil. For such, we could unleash the power of overwhelming anime eyes that not only draw sympathy but also ensure that the light stays right out of your eyelids. They are not only inventively designed but also are comfortable to wear. Thanks to a polyester build with a cotton back and elastic band. 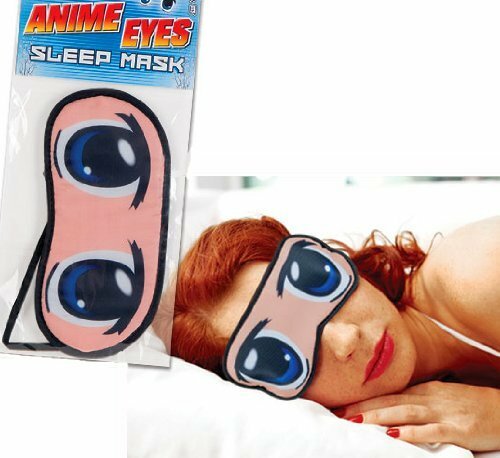 The Anime Eyes Sleep Mask could well make ones sleep-depriving folk think twice before intruding in the bliss of slumber. Something as powerful as this should indeed be priceless.